Kurt always knew he would eventually go blind from a progressive vision condition. As he slowly lost his sight, he also lost hope. Then, a sport called goalball helped get his life back into focus. For as long as he can remember, Kurt Sloop knew he would eventually go blind. When he was 3 years old, Kurt was diagnosed with retinitis pigmentosa, a progressive condition that causes gradual vision loss. But for the most part, he still had a “normal” childhood. “We as a family… didn’t address it very often. We kind of pushed it to the background,” Kurt said. He was an avid athlete, pursuing a variety of sports like basketball and baseball and aspired to go to film school. But as his vision got worse, Kurt realized he would have to rethink some of his passions. By the end of high school, playing baseball was difficult for Kurt. Then, he had to give up driving but could still get around on his bike. Later, biking was no longer an option, and Kurt had to rely on others for transportation. One of the most heartbreaking stages came when he couldn’t distinguish his loved ones’ faces. Kurt described his current level of a sight as comparable to wearing glasses smeared with Vaseline. Despite his eyes’ continued degeneration, he was reluctant to fully come to terms with his disorder. One day, when Kurt was walking in a nature park in Washington, D.C., he fell over a retaining wall into a creek. It was the wake-up call he had ignored for years. Embracing his identity as a blind person wasn’t easy-- people treated him differently when he carried a cane in public. Kurt became depressed, missing old activities he used to love, like sports and watching movies. His wife, Jennifer, knew he needed some encouragement. She found a sport called “goalball” and discovered a team that practiced close to their home. “Ten minutes into the experience, I recognized that this was one of the best things that I could be doing,” he said. Goalball was created in 1946 for veterans who lost their vision in World War II. Today, it is played by amateurs and professionals alike in the U.S. and internationally. Players compete on a court about the size of a volleyball court. Cords are taped over the court’s lines so players can navigate using their sense of touch. 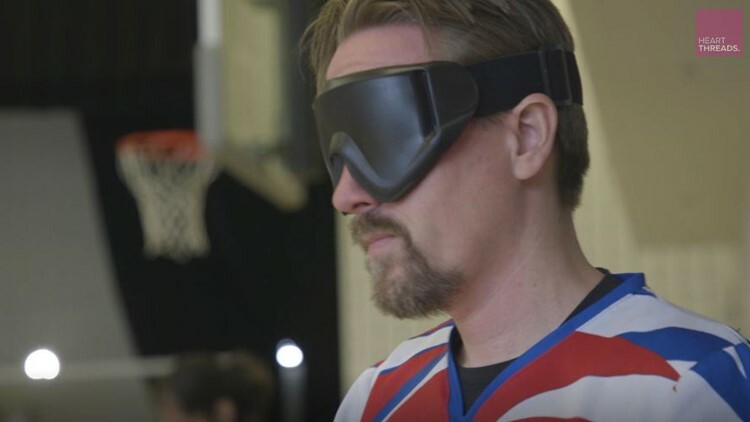 Every player wears blackout goggles to ensure no one can see anything during the game, since players with varying levels of blindness can compete. Kurt wears blackout goggles when he competes in goalball games. The ball has a bell inside, and teams of three bounce or roll it back and forth, trying to keep it out of their own goal. The fast-paced game can be intense, with players diving to block and catch hard-flung balls. As Kurt got more involved in goalball, he realized he had found more than just a team. Joining a community of blind athletes gave him the confidence to publicly identify as a blind person. 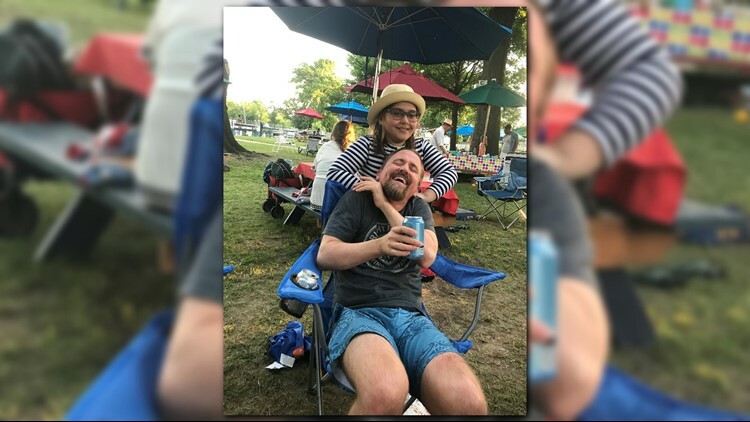 “You share stories of the things that happen to you and things that might bring you down in the moment, you can talk with your group and flip it around to where it’s fun and funny,” Kurt said. Now, his teammates have become close friends. “When you’re with that group, you’re not thinking of your blindness at all. When you’re on the court, you just feel like you’re playing a game,” he said.